Share your power! Your VOICE, your ACTIONS can help vulnerable individuals and families to thrive. Join with Ascentria and use your power for good today! Volunteer with us! Join our team! Be an advocate! Engage with us on social media! Make a donation! Stay in touch – sign up for our newsletter! Good News Garage provides affordable and reliable transportation options to low-income individuals and families. I’m in college now studying criminal justice, my dream is to get my master’s degree and PhD. Participants learn behavior skills, dealing with overwhelming emotions and self-harming behaviors. 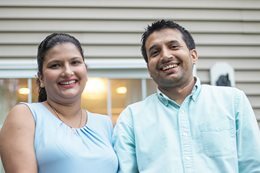 Ascentria resettled this family from Nepal, providing workforce training and jobs with our In-Home Care program, to give Ishor and Pabrita a fresh start. 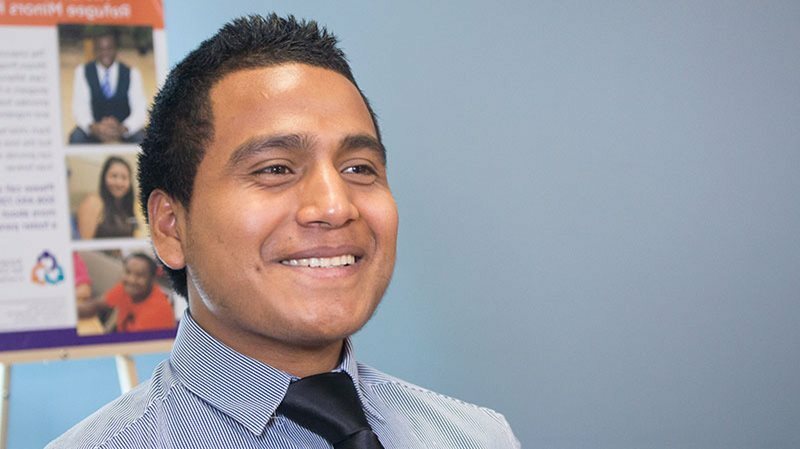 Our Services for New Americans program helps refugees and immigrants resettle and transition to their new lives in America. Be a part of our team by volunteering or working at Ascentria. As one of New England’s largest human service organizations, we have numerous opportunities currently available – reach out today! Make a donation today! Your financial gift helps to empower people to thrive right in your own community. 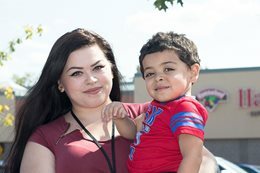 Donate today to help thousands of individuals like Nikki, Mario, Elaine, Ishor and Pabrita move forward to a better life. Be an Advocate! Join us and share your power in support of vulnerable individuals and families. Follow us on Facebook, Twitter or LinkedIn to receive immediate information on advocacy efforts, events and success stories. Stay up-to-date on what’s going on at Ascentria by signing up for our E-newsletter. Our e-news will keep you in the loop, without cluttering up your inbox. And we never sell or share our lists.